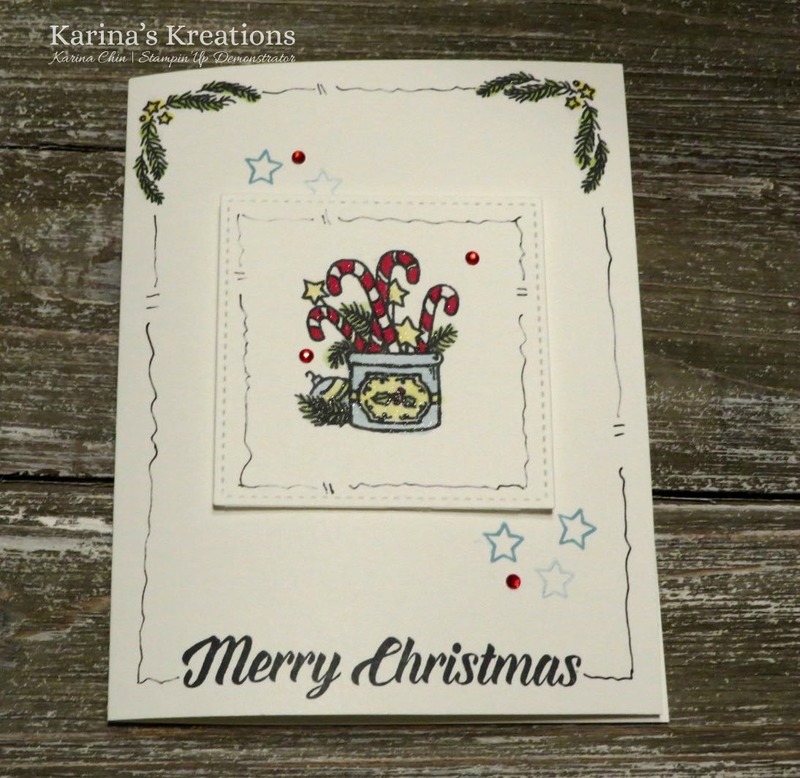 Karina's Kreations: Stampin'Up Many Blessings card! I have another Stampin'Up Many Blessings card to share with you. All this week I have been featuring this stamp set and I hope I have given you a few ideas. This card is inspired by Jenni Pauli. I love her simple designs and clean and elegant cards. I stamped the image with Black memento ink and colored the image with Balmy Blue, Light Old Olive and Light Cheery Cobbler and Daffodil Delight Stampin' blends. Balmy Blue will be available in the new Occasions catalog January 3. The sentiment is from the Timeless Tidings stamp set. I used a Black Stampin' Write marker to doodle around the edge of the card and added some Red Rhinestones. The Red Rhinestones are on sale right now. Click on a picture below to place an online order.